Match ends, Southend United 3, Cambridge United 1. Second Half ends, Southend United 3, Cambridge United 1. Foul by Rene Batlokwa (Southend United). Jake Carroll (Cambridge United) wins a free kick in the attacking half. Corner, Cambridge United. Conceded by Nathan Bishop. Attempt saved. George Taft (Cambridge United) header from the centre of the box is saved in the top centre of the goal. Attempt saved. Paul Lewis (Cambridge United) right footed shot from the centre of the box is saved in the top right corner. 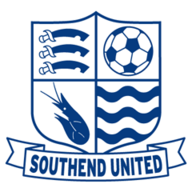 Delay in match Shawn McCoulsky (Southend United) because of an injury. Corner, Southend United. Conceded by Jake Carroll. Substitution, Southend United. Amadou Ba replaces Stephen McLaughlin. Goal! Southend United 3, Cambridge United 1. Isaac Hutchinson (Southend United) right footed shot from outside the box to the bottom left corner. Assisted by Michael Klass. Substitution, Southend United. Isaac Hutchinson replaces Simon Cox. Attempt saved. Lewis Gard (Southend United) right footed shot from the left side of the box is saved in the bottom left corner. Attempt missed. Stephen McLaughlin (Southend United) left footed shot from the right side of the box is close, but misses to the left. Michael Klass (Southend United) wins a free kick on the right wing. Substitution, Southend United. Lewis Gard replaces Harry Bunn. Michael Klass (Southend United) hits the bar with a right footed shot from outside the box. Substitution, Cambridge United. David Amoo replaces Emmanuel Osadebe. Liam O'Neil (Cambridge United) is shown the yellow card. Foul by Liam O'Neil (Cambridge United). Harry Bunn (Southend United) is shown the yellow card for a bad foul. Foul by Harry Bunn (Southend United). Emmanuel Osadebe (Cambridge United) wins a free kick in the defensive half. Attempt saved. Adebayo Azeez (Cambridge United) left footed shot from the left side of the box is saved in the top left corner. Delay in match Rene Batlokwa (Southend United) because of an injury. Rene Batlokwa (Southend United) wins a free kick in the defensive half. Michael Klass (Southend United) wins a free kick in the attacking half. Foul by Emmanuel Osadebe (Cambridge United). Goal! Southend United 2, Cambridge United 1. Shawn McCoulsky (Southend United) header from the centre of the box to the centre of the goal. Assisted by Stephen Hendrie with a cross. Attempt saved. Stephen McLaughlin (Southend United) left footed shot from outside the box is saved in the centre of the goal. Shawn McCoulsky (Southend United) wins a free kick in the attacking half. Attempt saved. Adebayo Azeez (Cambridge United) right footed shot from outside the box is saved in the centre of the goal. Harry Darling (Cambridge United) wins a free kick in the attacking half. Corner, Southend United. Conceded by George Taft. Corner, Southend United. Conceded by Harry Darling. Goal! Southend United 1, Cambridge United 1. Shawn McCoulsky (Southend United) right footed shot from very close range to the bottom right corner. Assisted by Simon Cox with a cross. Attempt blocked. Jevani Brown (Cambridge United) right footed shot from outside the box is blocked. Goal! Southend United 0, Cambridge United 1. 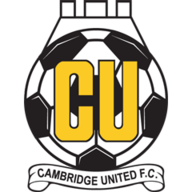 Reggie Lambe (Cambridge United) header from very close range to the high centre of the goal. Assisted by Jevani Brown with a cross. Corner, Cambridge United. Conceded by Stephen McLaughlin. Attempt saved. Elvis Bwomono (Southend United) right footed shot from outside the box is saved in the centre of the goal. Second Half begins Southend United 0, Cambridge United 0. Substitution, Cambridge United. Paul Lewis replaces George Maris. Substitution, Cambridge United. Jake Carroll replaces Greg Taylor. First Half ends, Southend United 0, Cambridge United 0. Attempt saved. George Maris (Cambridge United) right footed shot from outside the box is saved in the bottom left corner. Attempt missed. Stephen McLaughlin (Southend United) right footed shot from the centre of the box is too high. Attempt missed. Stephen Hendrie (Southend United) left footed shot from the centre of the box is too high. Attempt missed. Harry Bunn (Southend United) left footed shot from the centre of the box is too high. Attempt blocked. Stephen McLaughlin (Southend United) right footed shot from outside the box is blocked. Attempt missed. Shawn McCoulsky (Southend United) right footed shot from the centre of the box is close, but misses to the right. Attempt saved. Harry Bunn (Southend United) right footed shot from outside the box is saved in the centre of the goal. Attempt missed. Rene Batlokwa (Southend United) right footed shot from outside the box is high and wide to the right. Attempt missed. Stephen McLaughlin (Southend United) left footed shot from outside the box is close, but misses to the right. Foul by Shawn McCoulsky (Southend United). Michael Klass (Southend United) is shown the yellow card for a bad foul. Shawn McCoulsky (Southend United) wins a free kick in the defensive half. Emmanuel Osadebe (Cambridge United) wins a free kick on the right wing. Corner, Cambridge United. Conceded by Taylor Moore. Leon Davies (Cambridge United) wins a free kick in the attacking half. Simon Cox (Southend United) wins a free kick in the attacking half. Foul by Adebayo Azeez (Cambridge United). Attempt missed. Taylor Moore (Southend United) header from the centre of the box is just a bit too high following a corner. Leon Davies (Cambridge United) wins a free kick in the defensive half.